Listing is for ONE palm stone. Basalt reminds us to always chase our dreams instead of running from our fears. 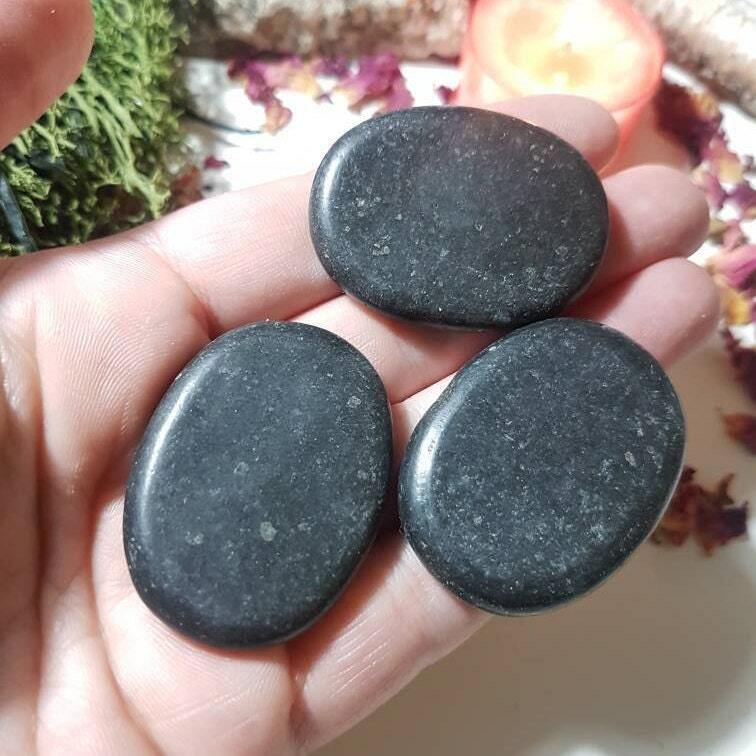 The picture of defeat is the back of someone's head as they run from the battlefield but with the power of the Basalt crystal stone healing properties, let the symbol of success and happiness be your radiant face as it takes on life with a renewed sense of purpose and determination. 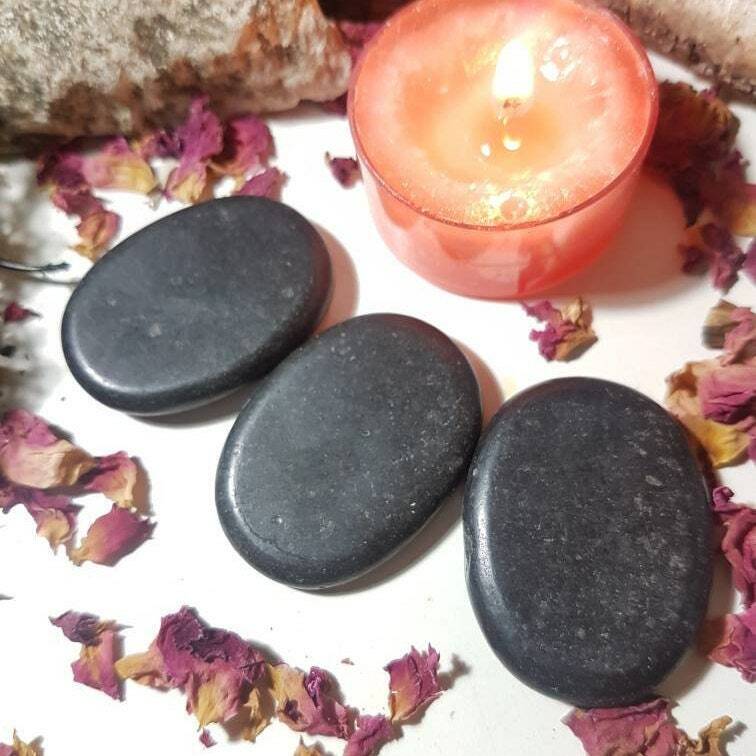 Basalt stone properties are also known for sparking your creative energy hidden deep within. Creativity is the language of the soul and with the Basalt stone in your life, you’ll be able to better express your ideas and dreams. The Basalt crystal give us the wisdom to learn the rules like a pro but break them like an artist, the magic formula for tapping into the infinite possibilities of the mind. Palm or thumb stones measure approx. 4.1cm x 3.2cm.